On the 1st of November 1512, the ceiling of the Sistine Chapel was first unveiled for public view. Michelangelo, and his five assistants, worked on this gigantic artistic enterprise for about four years, yet they managed to include three hundred and thirty-six figures on this 40.5-metre long and 14-metre wide ceiling. According to certain mathematical calculations, Michelangelo and his team spent on average four and a half days on each figure. It is probably nothing in comparison to the pace in which God created the World, but in artistic terms only a true genius could achieve a similar effect in such a short period of time. At the time when Michelangelo was offered the job by Pope Julius II, he was not an eager practitioner of painting. He much preferred sculpture and was hoping that he would be allowed to work on the Pope’s tomb instead. However, the intention of the Pope was clear – even though the walls of the chapel had been already covered with frescos by such noble painters as Botticelli, Ghirlandaio, Perugino, Pinturicchio, Signorelli or Cosimo Rosselli, he wanted a ceiling that would captivate the interest of the elites and officials of the Papal Chapel, who would normally spend hours sitting there during masses and official gatherings. The contract was signed on the 10th of May 1508, and within two months from signing the work on the ceiling officially begun. It is difficult to say whether Michelangelo’s trick was intended to discourage the Pope from continuing with the work on the ceiling or was it rather the artist’s mere caprice. 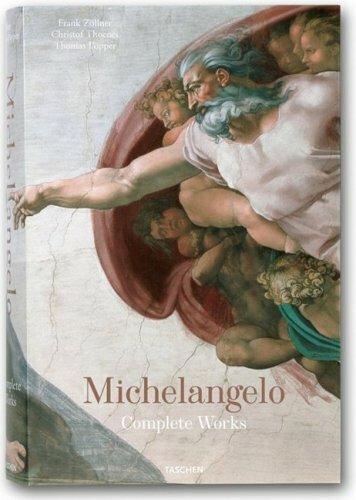 It is actually possible that Michelangelo was trying to simply disguise the fact that the ceiling was prone to damage. “Vatican records had revealed, that in the spring of 1504 there had been a massive structural collapse in the great chapel which Sixtus IV, “an old man in a hurry”, had thrown up in such an un-Renaissance haste between 1477 and 1483. The collapse in the structure of the Sistine Chapel in 1504 caused a great crack to appear in the ceiling.” (Waldemar Januszczak, Sayonara, Michelangelo: Sistine Chapel Restored and Repackaged ). Later on Michelangelo’s cracks became very useful in masking the effects of the seventeenth century explosion of a powder-magazine within the walls of the Vatican, which caused the fall of a large portion of plaster above the Delphic Sibyl and a loss of one of the smaller figures. However we may look at it now, it is undeniable that these cracks have become an important element of the Sistine Chapel ceiling. It is hard to imagine it without them. And if they were to convey a hidden meaning, then we could look at them in a more metaphoric way as a depiction of human faults, for it does not matter how close to God we were at the moment of creation, the fact is that we were only made in his image. One of the most iconic pieces of art on such a massive scale – great post. i enjoy painting designs on concrete floors, and i prefer to do the preliminary prep and repair work myself. i often paint subtle tromp l’oeil cracks where the old cracks have been repaired – just in case the area cracks again…. of course, most artists have whimsical spirits, and there were surely layers of explanations that he perhaps kept to himself or shared with close friends…. we are left to ponder and be entertained by his genius. Well said. He was a genius, way ahead of his time. This is a terrific post with fascinating information!